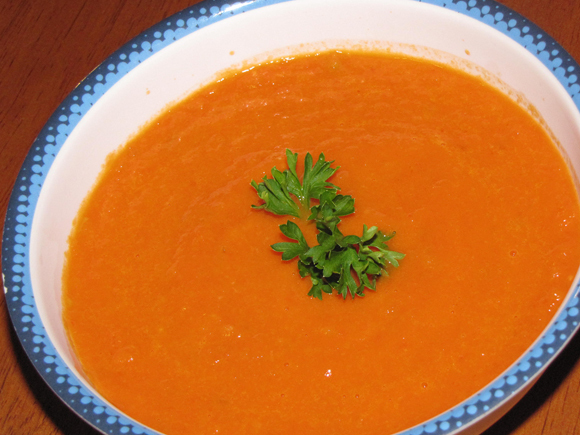 This dish is a key part of one of the best meals of all time: Grilled Cheese with Tomato Soup. So get the soup in the pot, cook it, give it a puree, then make yourself a classic grilled cheese sandwich to go with it. Sprinkle a couple croutons or some Parmesan cheese in your bowl if you'd like, or do what I do and just dunk the sandwich right in the soup. You won't be disappointed. 1. 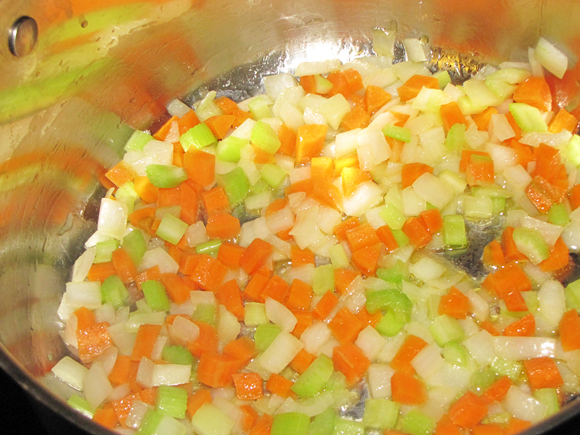 Chop celery, carrot and onion. Keep them about the same size so they cook evenly. 3. Add garlic and cook for about 2-3 more minutes, making sure the garlic doesn't burn. 4. 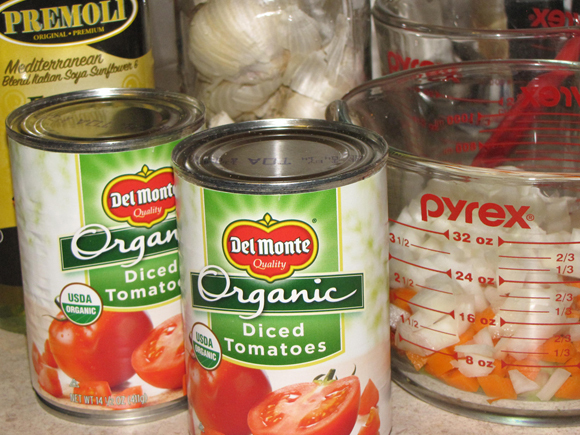 Add the rest of the ingredients, except pepper, and bring to a boil. 5. 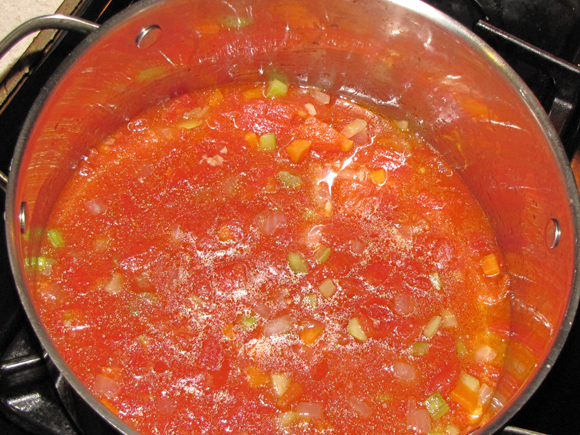 Cover, reduce heat to med-low and simmer for 30-45 minutes or until carrots are tender, stirring occasionally. 6. When done, turn off heat and allow to sit for a few minutes. 8. Mix in pepper and serve. 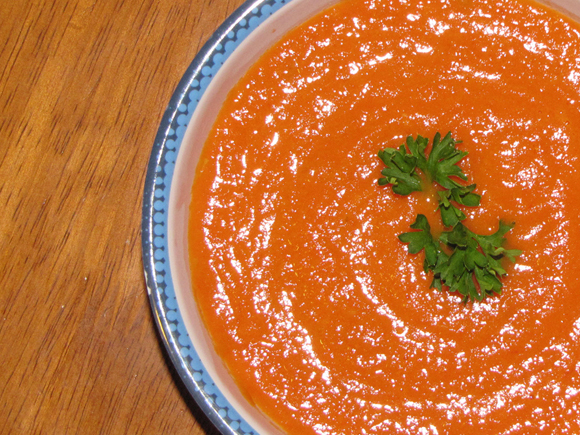 Some people like to add a little half and half for a creamier and richer soup. I'm not a fan of the heaviness that brings so if you want a little creaminess without the added heaviness, you could add a little 2% milk. It gives almost the same flavor and consistency but isn't nearly as rich.